Jennings Lodge community members invite the public to an Oct. 20 meeting to provide ideas for a permanent sign in the new Jennings Lodge Estates subdivision commemorating the more than 100-year history of the former evangelical property. 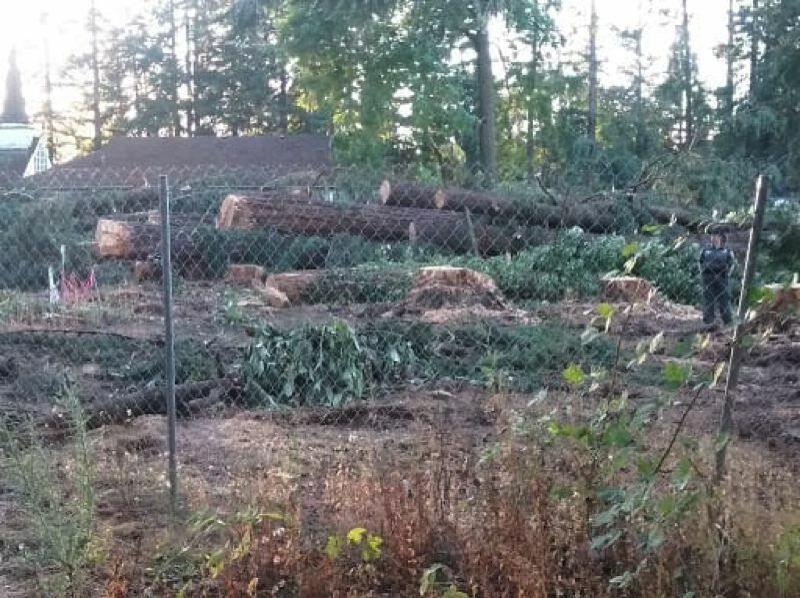 A 72-lot subdivision is being built at the property after the developer tore down National Register-eligible buildings and hundreds of historic Douglas fir trees. The sign is part of the final historic mitigation agreement negotiated between the U.S. Army Corps of Engineers, the Oregon State Historic Preservation Office, the Advisory Council on Historic Preservation and subdivision developer Lennar NW. The agreement calls for the developer to create and install an interpretive and photographic display, from 2-by-3 feet up to 4-by-6 feet, that describes the history of the former evangelical property. Lennar NW has asked Willamette Cultural Resources Associates, the firm previously hired by the developer to document the site's history and buildings, to take the lead in developing the commemorative sign. Dave Ellis, principal archaeologist at Willamette Cultural Resources Associates, says the firm would like to begin the process by meeting with the Jennings Lodge Community Planning Organization, Oak Lodge History Detectives and other interested people in the neighborhood to explore both design and content. He added that "we are approaching this with no assumptions or expectations regarding the sign" other than what the Corps defined in the memorandum of agreement. According to the agreement, the sign will have to be installed by July 2019. Long-term maintenance and care of the sign will be the responsibility of the Jennings Lodge Estates Homeowners' Association. This display is expected to cost no more than $15,000. Lennar will transfer any leftover funds to the Jennings Lodge Camp Meeting Site and Retreat Center Education and Preservation Fund within 30 days of installation of the display. Lennar NW had to pay a total of $200,000 for the destruction of all historic buildings and groves of trees on more than 16 acres, which was not enough to cover the costs of moving and renovating the historic Friesen Chapel. Jennings Lodge community members are assisting in facilitating additional agreements required for Clackamas County to become the education/preservation fund manager.